Billionaire West Virginia Gubernatorial Candidate Jim Justice Owes $15 Million In Taxes And Fines Two years after an NPR investigation showed mines owned by Jim Justice failed to pay safety penalties, a new analysis shows he is the nation's top mine safety delinquent and owes millions. 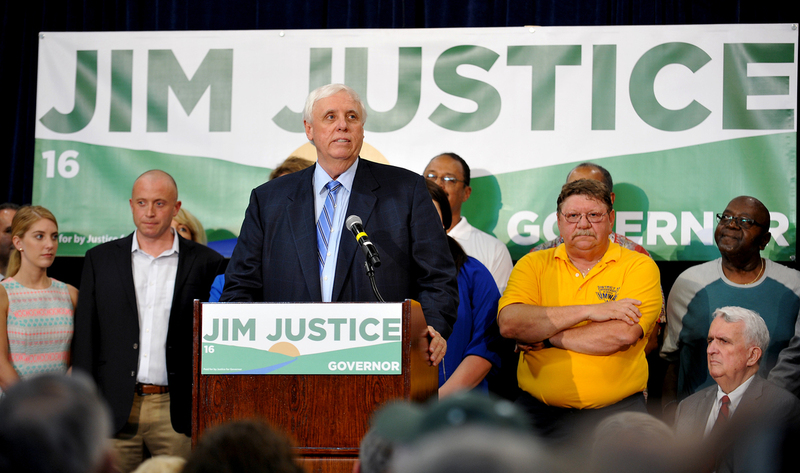 West Virginia billionaire businessman Jim Justice announced his run for governor of West Virginia as a Democrat in White Sulphur Springs, W.Va., on May 11, 2015. West Virginia's Democratic candidate for governor is a billionaire, a philanthropist and a resort and coal mine owner who cites his business and mining experience as major attributes as he seeks to lead his home state out of a severe budget and economic crisis. "I am not a career politician; I am a career businessman," wrote Jim Justice in an April 5 op-ed that appeared in the Charleston Gazette-Mail. But an NPR investigation shows that Justice's mining companies still fail to pay millions of dollars in mine safety penalties two years after an earlier investigation documented the same behavior. Our analysis of federal data shows that Justice is now the nation's top mine safety delinquent. His mining companies owe $15 million in six states, including property and minerals taxes, state coal severance and withholding taxes, and federal income, excise and unemployment taxes, as well as mine safety penalties, according to county, state and federal records. In the past 16 months, while fines and taxes went unpaid, Justice personally contributed nearly $2.9 million in interest-free loans and in-kind contributions to his gubernatorial campaign, according to state campaign finance reports. Grant Herring, a spokesman for the Justice gubernatorial campaign, said Justice "won't be doing an interview," despite multiple requests after NPR provided details of our investigation. * West Virginia Public Broadcasting, which also published this timeline highlighting Jim Justice's delinquent mine fines, unpaid charitable contributions and campaign finances. But Billy Shelton, an attorney for Justice mining companies in Kentucky, responded to Justice's failure to pay $2.6 million in delinquent federal mine safety penalties, which are levied by the federal Mine Safety and Health Administration. MSHA and Treasury Department data obtained by NPR show that Justice has paid $675,000 this year as part of a payment agreement, but the agreement covers less than half of the total amount owed. "Unlike the coal companies that filed for bankruptcy and walked away from their obligations, the Justice companies are being responsible and following the agreed-upon payment plan. ... The Justice companies are taking the proper steps to make good on all MSHA commitments," Shelton says. "To imply anything beyond that is purely for political reasons and ignores the facts." 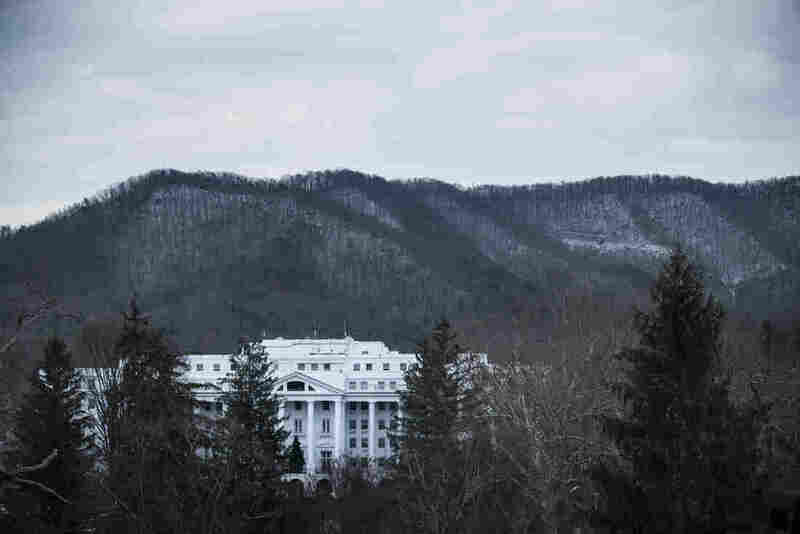 Justice is celebrated in West Virginia for saving the historic and luxurious Greenbrier Resort, a major economic driver for the surrounding region. But dozens of his coal mines in West Virginia and other Appalachian states have a history of safety violations and failure to pay on time the penalties that are supposed to discourage unsafe practices, according to MSHA violations and penalties data. That's what NPR and Mine Safety and Health News documented in a joint investigation in 2014. At the time, Tom Lusk, the chief operating officer of Justice's mining companies, insisted that Justice "does not run from his obligations. ... He's made it abundantly clear that there's no way we're going to not fully meet and satisfy these obligations." A view of Jim Justice's Greenbrier Resort in White Sulphur Springs, W.Va., in 2013. Delinquent Justice mines also continue to have worse-than-average safety records, according to NPR's analysis of MSHA injury and violations data. Our analysis shows that injury rates (for injuries forcing time away from work) are twice the national average and violations rates more than four times the national rate during the years the Justice mines failed to pay penalties. The MSHA data also show that those mines were cited for 3,657 violations while they were delinquent, including 699 violations that are classified by MSHA as factors in mine fatalities, fatal mine accidents and major disasters. 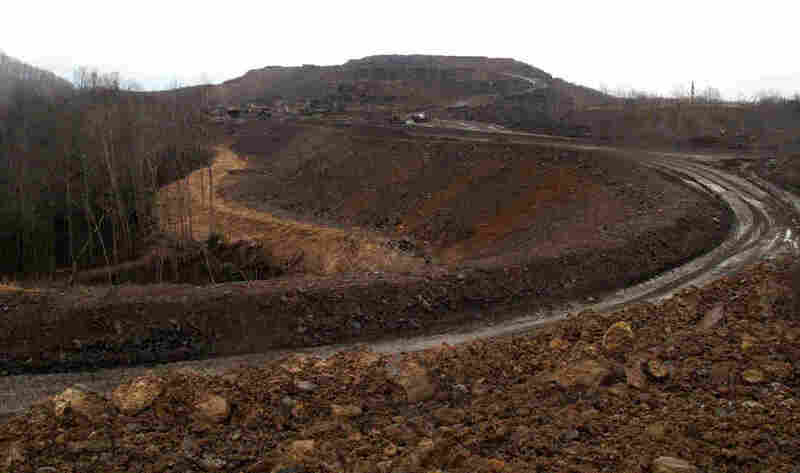 MSHA mine inspectors issued dozens of citations for excessive coal dust, which can feed mine explosions, and roof and wall violations, which can lead to mine collapses. One Justice mining company, Kentucky Fuel Corp., owed more than $709,000 in delinquent penalties, according to MSHA data, and was admonished in an April decision from the Federal Mine Safety and Health Commission, which adjudicates penalty disputes. "Kentucky Fuel's history regarding the payment of penalties is abysmal," the commission wrote. "The operator's record indicates that it has repeatedly disregarded final penalty assessments." The Justice fines concern Celeste Monforton, a former MSHA official, mine disaster investigator and lecturer on workplace safety at George Washington University and Texas State University. "I don't think we should forget that the reason that he has those penalties is because there were violations and hazards in his coal mining operations," says Monforton. * As we reported in 2014, five people died in in a mine explosion at Kentucky Darby in 2006. The $500,000 in penalties for that disaster plus $2.4 million more in fines at mines owned by Ralph Napier Sr. and his partners disappeared from the Mine Safety and Health Administration's books. The agency says the delinquencies were declared noncollectible and the IRS issued 1099 forms declaring the unpaid fines taxable income. But the companies are defunct so no collection is ever expected. * We profiled D&C owner Horace Garrison Hill in our 2014 stories and detailed a fatal accident there. His mine owed more than $4 million in delinquent fines. That debt also disappeared from MSHA's records and resulted in a 1099 form. D&C is also defunct. "That's the way the system is set up and it has to change," says Tony Oppegard, a former mine safety regulator who represents the families of miners killed at both D&C and Kentucky Darby. "There's no incentive to run a safe mine if you know that you don't have to pay your fines." MSHA says it supports a bill in Congress that would give the agency authority to shut down delinquent mines six months after they become delinquent. The agency did revive a little-used enforcement tool after NPR's 2014 stories. It cited a mine's failure to pay penalties as a failure to fix the safety hazards that led to those penalties. It then shut down the mine until the owner agreed to a payment plan. That's happened four times since. Our stories also prompted an inspector general's audit of MSHA's penalties system and practices. A report is expected soon. Kentucky Fuel also tops all of Justice's mining companies for delinquent fines, county taxes and state and federal tax liens combined, with more than $8 million due, according to county, state and federal records. Justice was asked about safety at his mines when he announced his run for governor last year. "I'm a safety fanatic," he said at a news conference. "So I'm the last person in the world that's wanting something to where you would put an employee in a situation that would be unsafe." As for the delinquent mine safety fines reported by NPR in 2014, Justice said "we'll absolutely ... make sure that every one of them is taken care of." Lusk and MSHA agreed to a payment plan in December 2015, after two years of discussions, and the Justice mining companies have made every $75,000 monthly payment since. But the plan does not cover more than $1.7 million in unpaid fines referred to the U.S. Treasury for collection, according to Treasury records provided in response to a Freedom of Information Act request. The records show that some of the delinquent fines have been sent on to the U.S. Department of Justice for possible litigation and that others are pending referral to the agency. Shelton says he is seeking a payment plan to cover the fines referred to Treasury. The "Justice group has diligently pursued payment plans and full resolution of all outstanding issues," Lusk recently said. Payment plans also exist in counties where Justice mining companies failed to pay more than $5.4 million in county taxes. Media and legal pressure have been successful in getting the Justice companies to pay. In April, the Charleston Gazette-Mail reported that the Justice companies owed $3.9 million in delinquent 2015 property taxes in West Virginia. Most were paid within two weeks. 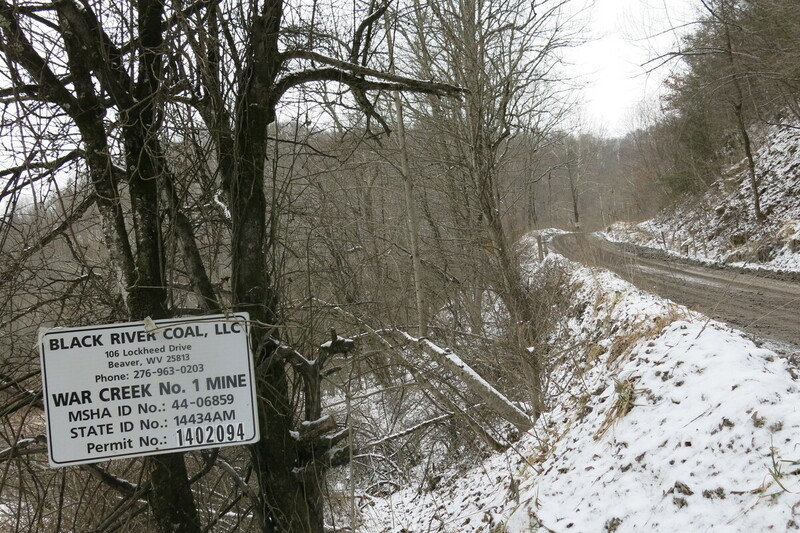 A dirt road in Tazewell County, Va., leads to the War Creek underground coal mine, where county officials seized mining equipment in April to force payment of delinquent county taxes. War Creek is operated by Justice subsidiary Black River Coal, which is also named in state tax liens in neighboring West Virginia. In Harlan County, Ky., in October, the county attorney sued. In Tazewell County, Va., in April, the county sheriff seized mining equipment at a Justice mine, citing back taxes. Both moves got the checks flowing. In Knott County, Ky., multiple lawsuits were filed against Justice's Kentucky Fuel Corp. A suit last year sought $2.7 million for three years of back taxes. That triggered about $300,000 in payments, but those suddenly stopped in April, says Knott County Judge-Executive Zachary Weinberg. Weinberg calls Kentucky Fuel a "habitual offender" that is denying the county critical funds. "You're talking about maybe a grant writer, or to keep the senior citizens' program whole or to pick trash up or to keep lights on, [or] to keep the employees with good health insurance," Weinberg says, adding that the county health board, school board, conservation district and extension office share in and need the unpaid taxes. Knott County sought court orders twice in the past two months and payments suddenly resumed again. Even Shelton, Justice's Kentucky attorney, sued to get paid. In 2013, Shelton filed a complaint in Pike County, Ky., seeking $85,220 in unpaid legal fees from seven Justice mining companies. Within a month, Shelton had a default judgment awarding him his money plus legal fees and interest. "[The] lawsuit was the result of a misunderstanding," Shelton says now, adding that the right Justice executive wasn't aware of the dispute until the suit was filed. Just last week, 26 Justice mining companies and the Environmental Protection Agency agreed to a $6 million settlement for thousands of water pollution violations, which have been the focus of news stories in the past two years. It's not just federal fines and county taxes that have public agencies seeking money from Justice's mines. NPR found in county records in South Carolina, Tennessee, Kentucky, Virginia and West Virginia more than $6 million in state and federal tax liens for failure to pay state withholding and coal severance taxes, and federal income, excise and unemployment taxes. Most of the state and federal liens — more than $4.5 million worth — are in Justice's home state of West Virginia, and more than 60 percent of that debt is for state coal severance taxes. In 2014 alone, Justice's Kentucky Fuel Corp. failed to pay $1.14 million in coal severance taxes. That's documented in a lien filed by the West Virginia Tax Department, and that single lien made up about a third of the state's total coal severance tax delinquencies for the year, according to figures provided by the agency. Justice himself touted the importance of coal severance taxes last week in an interview with the editorial board of The Dominion Post of Morgantown, W.Va. He "adamantly" opposed a proposal to cut the state severance tax. "All that does is put some money in my pocket," Justice told the newspaper. Cutting the tax would force the state "to cut our roads and our schools and everything else." Two years ago, Lusk told NPR that a sharp decline in the coal industry made it difficult for mining companies to pay their bills. He also said Justice believed his companies had to stand on their own. "An operator that's going to maintain a safe operation is faced with a dilemma of what gets paid and what doesn't," Lusk said. "And the unpaid fines and citations ... have simply been not having the available cash to settle those." Coal mining has suffered even more since then, with thousands of jobs lost and some of the biggest operators declaring bankruptcy. NPR acquired and analyzed Mine Safety and Health Administration data for all U.S. mining companies that had failed to pay final mine safety fines and had already been through any challenges and appeals. Additional delinquent mine data were provided by the Treasury Department's Bureau of the Fiscal Service. After the data showed Jim Justice was the top delinquent mine owner, we pulled out the delinquent penalties for his mines and then analyzed Department of Labor violations and injury data for those mines while they were delinquent. Violations numbers and details were also drawn from raw Department of Labor enforcement data for the delinquent Justice mines. Violation rates for each mine were calculated using the Violations Per Inspection Day calculator available in MSHA's searchable Mine Data Retrieval System. Coal tonnage for each mine is reported annually by the Department of Labor. Coal value is estimated using average sales prices provided by the Energy Information Administration for each mine type, state and subregion, if applicable (i.e., eastern Kentucky and southern West Virginia). Court documents and county officials provided information about lawsuits and other enforcement actions. Payment plan information was gleaned from documents and information provided by MSHA, interviews of county officials and attorneys and correspondence with an attorney representing Justice. Here are the tax lien documents for Kentucky, Virginia and West Virginia. Most of Justice's delinquent mines are now either abandoned or temporarily closed. 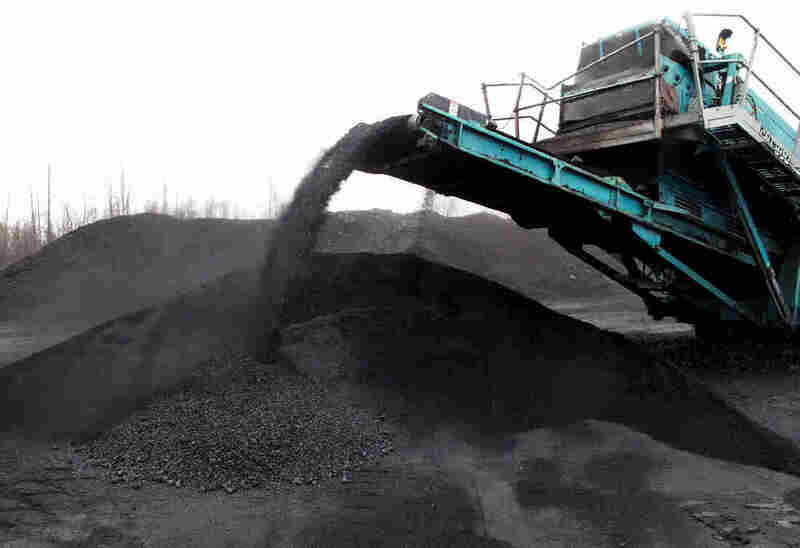 But while they were operating and delinquent, they produced more than 2.4 million tons of coal, according to MSHA data. And that coal, according to coal price reports from the Energy Information Administration, was conservatively worth an estimated $697 million. Still, Justice campaign spokesman Herring cited "the downturn in the coal industry" in trying to explain something else NPR discovered — Justice's failure to honor two highly publicized pledges to major charities. In 2011, with news stories celebrating the announcement, Justice promised to contribute $10 million to Cleveland Clinic Innovations, the commercialization arm of the Ohio medical giant. Cleveland Clinic spokesperson Janice Guhl tells NPR "no money was received from Mr. Justice." Three months earlier, the Boy Scouts of America announced a $25 million gift from Justice to create the James C. Justice National Scout Camp, which is part of a 14,000-acre Boy Scout reserve in West Virginia. But Herring confirms that Justice donated only $5 million and some land. He says the coal industry's decline "has delayed some larger donations, but Jim Justice always keeps his word and has every intention of fulfilling all of his charitable pledges." In Knott County, Weinberg notes that his county is also suffering from coal mine closures and layoffs. The county budget, he says, was slashed in half in the last six years. Weinberg believes Justice has the resources to pay what his companies owe. Forbes says Justice is the richest person in West Virginia and worth $1.56 billion. That's plenty for Weinberg. "He could pay it one way or the other," he says. UPDATE, 11:56 a.m., Oct. 8: Effie Delimarkos, spokesperson for the Boy Scouts of America, said in a statement to NPR: "While we do not disclose details regarding individual donations, we are proud that Mr. Justice chose to provide the Boy Scouts of America with a generous contribution, and we have every reason to believe that he will honor his pledge [to] Scouting." This story was also reported and researched by Robert Benincasa, Barbara Van Woerkom, Lily Lieberman and Anna Boiko-Weyrauch of NPR; Jesse Wright, Ashton Marra and Dave Mistich of West Virginia Public Broadcasting; Jeff Young, Benny Becker and Becca Schimmel of Ohio Valley ReSource; and Ellen Smith of Mine Safety and Health News.